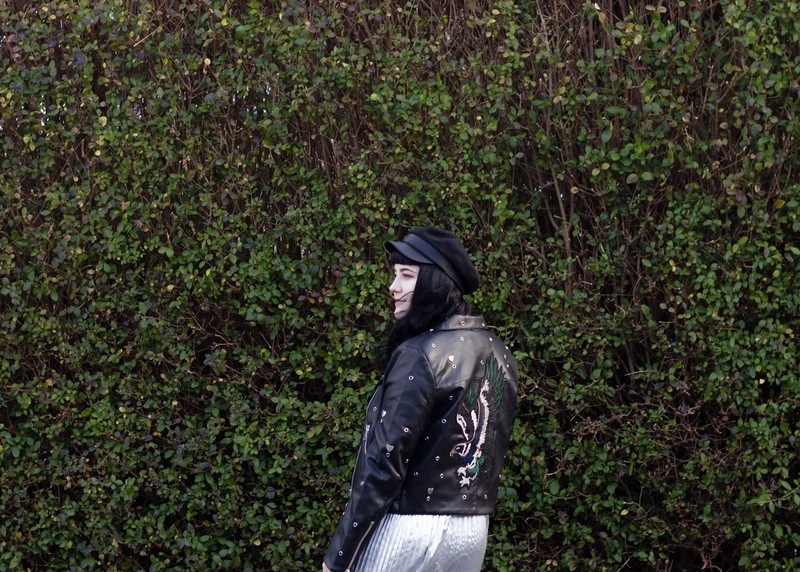 I know I know, this outfit doesn't seem very statement to some, but in my opinion when it comes to my own personal style a few of these items on their own would be a statement piece for me, so throwing it into the mix and putting them together is a big one! 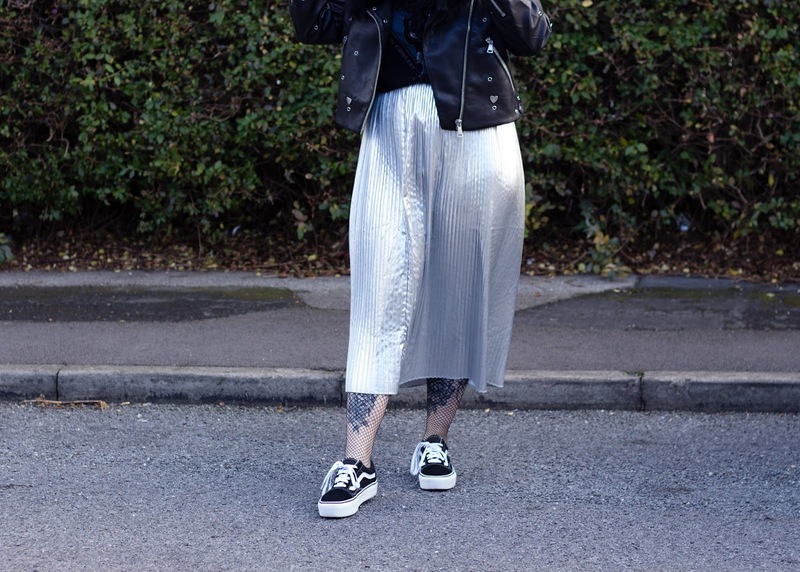 Plus, we took these images on christmas day so I was feeling extra sparkly and nice, hence why I've brought out this amazing silver skirt of dreams. 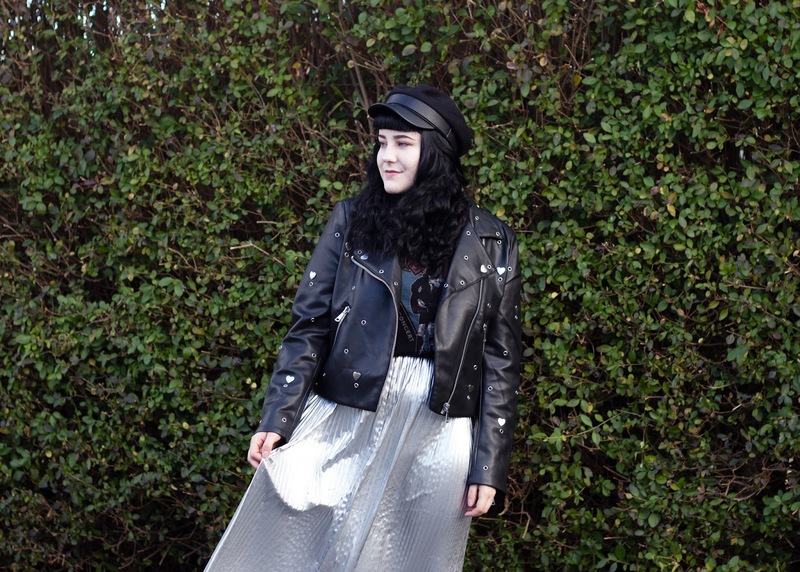 I have featured this skirt before on my Ace Of Spades outfit post (oh god I am thankful for hair growth, that awkward length) but I couldn't resist it again. 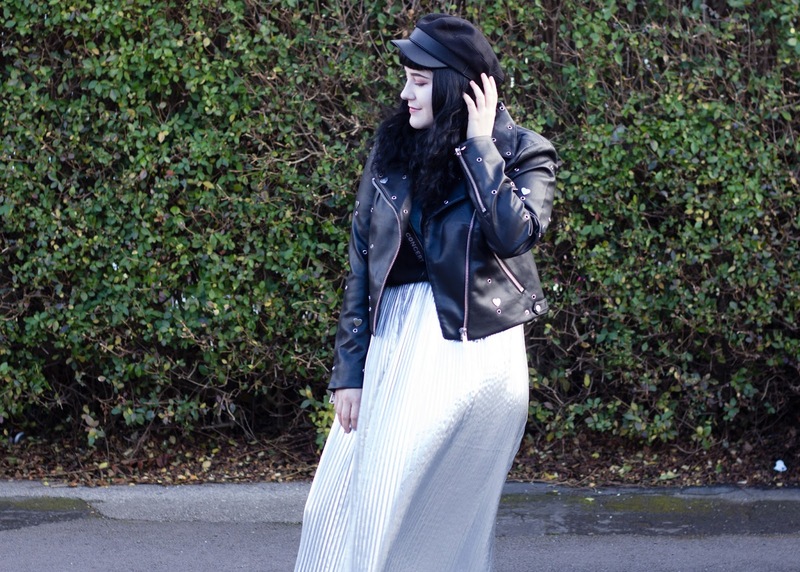 The reason I love it so much is mainly because I'm a sucker for pleated midi skirts, and because my inner magpie thought this was perfect for the festivities. 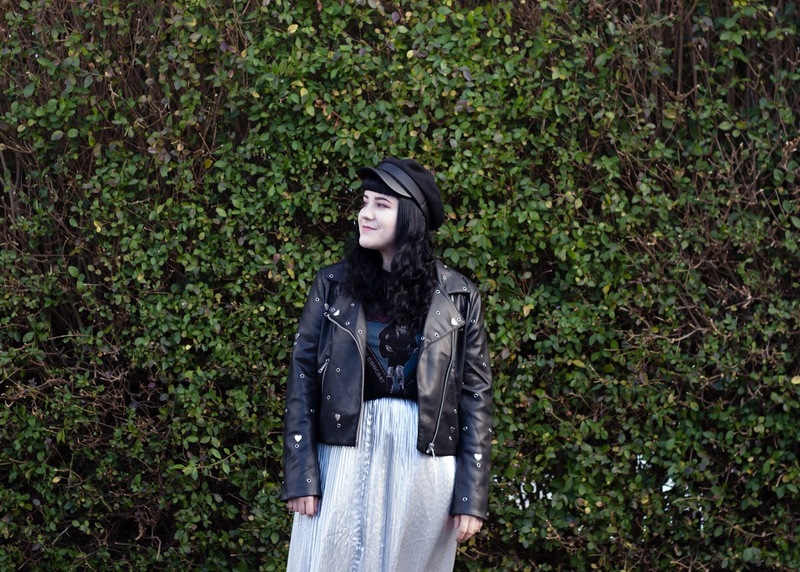 I love wearing it with a baggy band tee tucked in, for this outfit I am wearing my all time favourite AC/DC top but you can't tell too much, and it was unfortunately too cold to take the jacket off. If you don't follow me on social media you may have missed me low key freaking out that my boyfriend Daniel got me a pair of platform Vans which I was eyeing up for ages, but was waiting for my Christmas wage to come through so I could buy them. I love how they give a relaxed feel to the outfit but still look really nice with it! 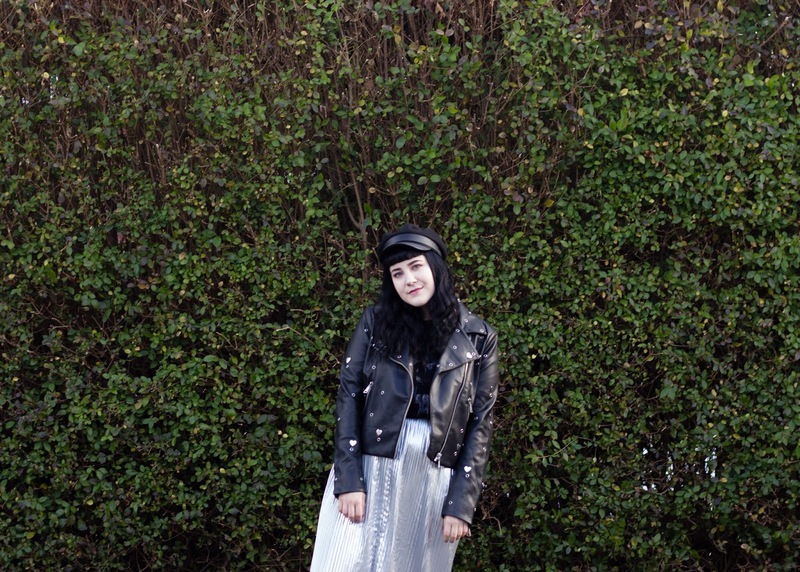 I apologise in advance for these slightly taking over my outfit posts, lets see if they take over my beloved Dr Martens Jadon boots which have featured in the vast majority of my posts since I bought them, not even sorry. 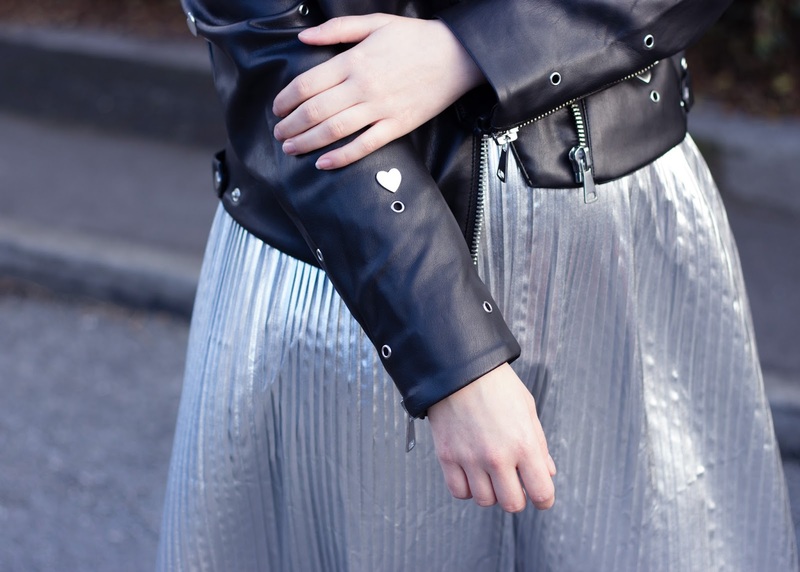 Lets get on to what I am calling the main feature of the outfit, this a-m-a-z-i-n-g faux leather jacket. I only own one and it has floral patterns embroidered on it so I wanted something a little different, which then came to this bad boy going into the sale! 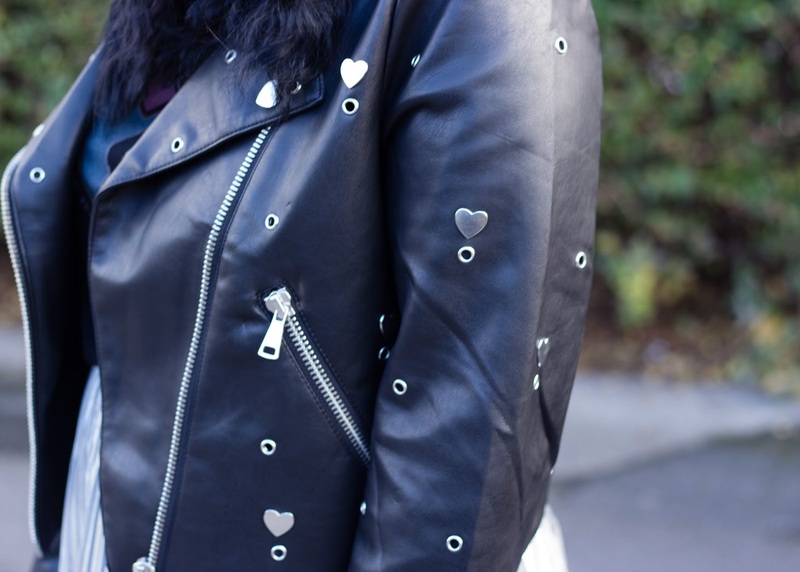 It has small metal ring holes dotted all over it and little heart shaped studs which are so cute. I was willing to buy this jacket solely based off of this, and then I saw the back detailing. 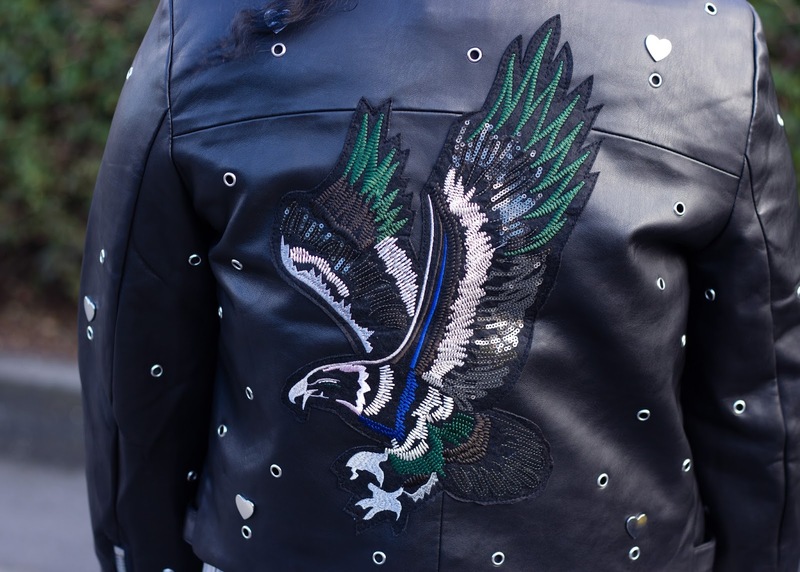 Which is an embroidered/embellished bird design, it sort of gives off a 'biker jacket with a massive twist' feel to it, and I am digging it. 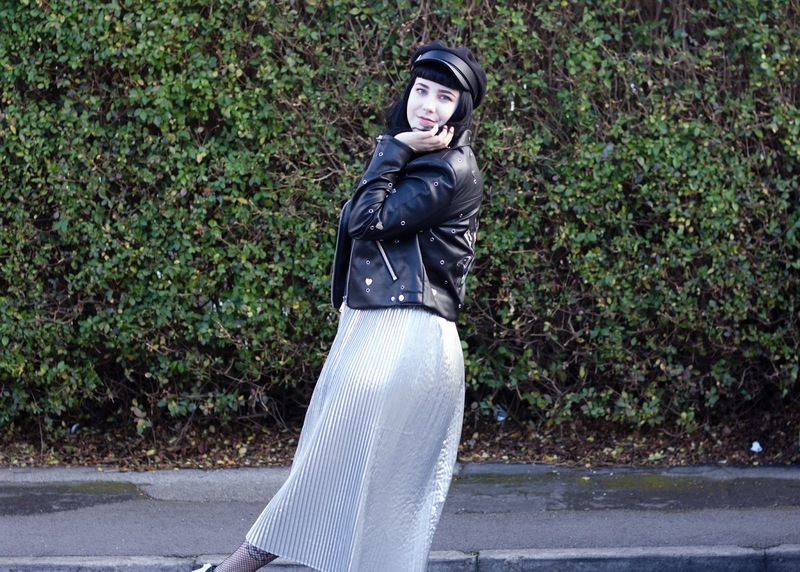 I must say, I feel so sassy in this outfit, finished off with a pair of fishnets and a baker boy cap means that this is 'me' all over but with added sparkle.